Welcome welcome. I can't believe it will be Christmas in one week! Are your ready? I am getting there. I probably should do a little baking to have some goodies on hand when family comes to visit. Next week in honor of Christmas and spending time with your families we will not start the Wow party on Tuesday evening. I will start it some time on Wednesday morning so do come back next week and join in when you can. 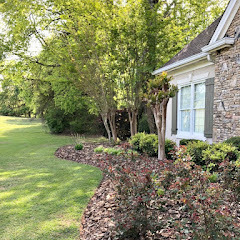 Great links last week and I chose a few this week that did not get a lot of visits. So here is what you missed. 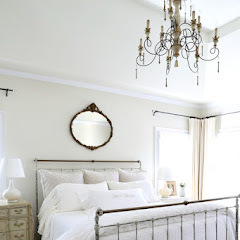 This beautiful new room was shared by 2 Vintage Sisters. 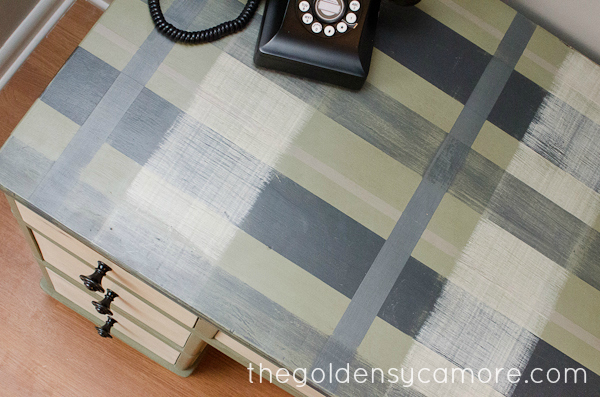 Super desk makeover with a plaid top by The Golden Sycamore. This hand painted chair was shared by One Creative Couple. Turnstyle Vogue shared her gorgeous 16 foot tree. 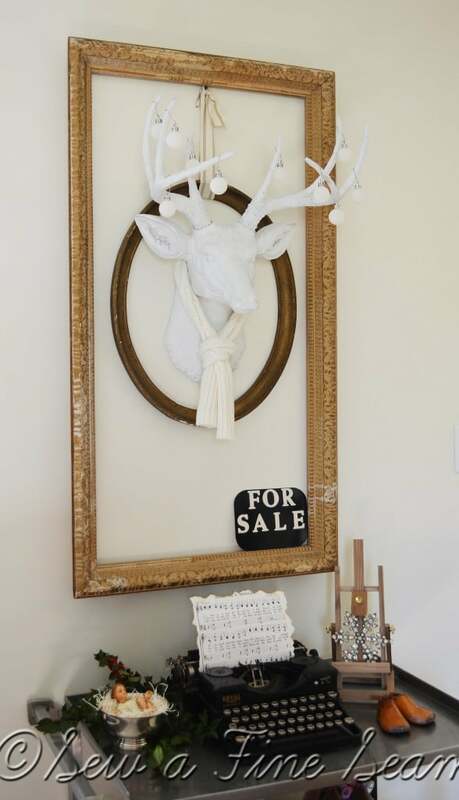 I think every room should have a touch of whimsy and this cute deer surely adds some. Check it out at Sew a Fine Seam. Here's another fun idea for the man in your life. This was shared by Ruby Jean. This is so beautiful shared by Grace and Favor. Dimples & Delights shared this eggnog biscotti recipe. Cute Christmas cappucino and cocoa gift ideas by The Moon and Me. Thanks to everyone who joined last week. If you were featured I hope you will grab a "featured" button from my sidebar. 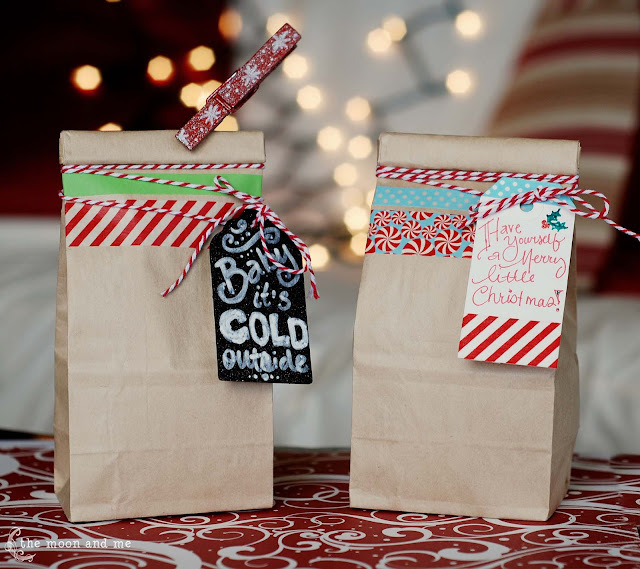 So many fun ideas - love that deer all decked out for the holidays! Thank you for hosting Kim! Wishing you happy, healthy, joyful days this holiday season. Great features Kim, that man wreath is too cute! Thanks for hosting. Hi Kim! Thanks for another WOW... I LOVE the man wreath! Next year I just might hang one in the garage for Bobby! There are so many great ideas... and not enough time!!! I'm bookmarking like crazy for next year! Have a good week! Thanks for hosting, enjoyed all the features! Thanks for featuring my Christmas tree Kim. Have a wonderful Christmas with your family. We'll see you next week! Great features. Can't wait to check out some of these links! Thanks for hosting! The tire wreath is awesome! Maybe I can make something for Maurie out of a shop vac, because that's what we really need right now :) Thanks for hosting! Love that bike! thanks for hosting, Kim! I love the features Kim. Lots of ideas! 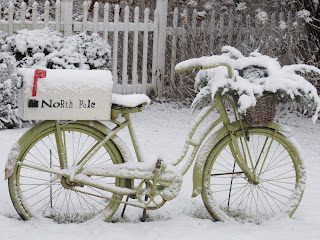 That green bicycle with North Pole mailbox is sooo dreamy. It's the perfect color of green. The tire wreath is ingenious. Thanks for hosting. And, yes it's time to do some baking! Thanks for hosting, Kim. I love your features, especially the vintage bicycle in the snow.... Wish we had some snow here. just love that bike. sure wish it would snow here this year!!!! You are brilliant to choose these features. Thanks for hosting. 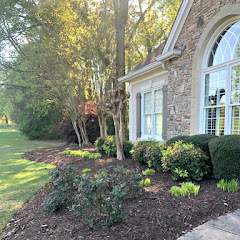 Great picks this week - especially the Golden Sycamore! Love her furniture pieces, she is so talented. 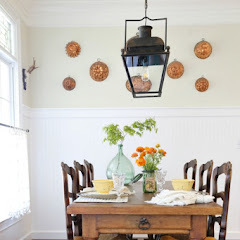 Great features ... love the whimsy of a few of them! No, I can't believe Christmas is a week away ... I'm sooooo far behind with shopping, wrapping ... all of it! It's crunch time, for sure! Thanks for hosting! Thank you so much for featuring my desk, Kim!! Thanks for hosting the party! I love the tire wreath. The bike is so cute too! Thanks so much for hosting, Kim! Wonderful features as always! Thanks for the party, Kim. Merry Christmas. Loving the features today, Kim! Thank you so much for hosting every week, and I hope you have a very Merry Christmas!!! Thanks so much for hosting Kim! Amazing features as always. Wishing you and your family a wonderful holiday season! There are so many talented bloggers out there. It has just been amazing this year! Great features!! Have a great Christmas Kim! The Christmas ideas just keep coming! Thank you for hosting this week, Kim! Thanks so much for hosting! Have a fantastic Christmas! How cute is that snow covered bicycle! Thank you for hosting again this week. Have a Merry Christmas with all the grands. Hi Kim, thanks for hosting this week. Such great features. Have a Merry Christmas this Season. Thanks for hosting a great party Kim! Since we won't be partying together next week, Merry Christmas!! Thanks for hosting, Kim! It's always a treat! Merry Christmas! Thanx for hosting Kim and what great features! I love that 16 ft tree and the North Pole bike. Hi Kim! I'm so glad to be able to join you this week! 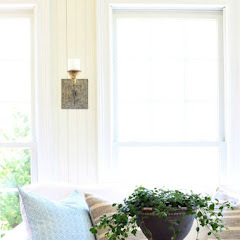 I love the way you chose to feature some beautiful posts that didn't get as many visits. I know those bloggers are going to be thrilled to find themselves in your list of features. You really are a great hostess; thank you so much! Gasp!! Thank you so much for featuring my biscotti! It's one of my new favorite things :) Thank you for being our lovely host, Kim! Wow! Great looking features! Thanks so much for hosting today Kim. I'm sure you have tons going on at your place. I hope you enjoy Christmas with your family! Thank you so much for hosting. Wishing you a Merry Christmas! Thank you so much for your wonderful party, Kim! Nice features. I actually have seen the plaid desk from the Golden Sycamore at an antique mall in my area called The Town Peddler. Allison is from my area. I haven't been able to visit too many of the people who link to your party because there are so many. How in the world do you get through them all? Do you randomly select? I've linked to a few parties but really don't get much traffic from the link parties but they are fun and a great way to discover other blogs. There are literally thousands of blogs out there! Love the bicycle! Am in awe of the tree also. Kim as always thanks for hosting. I hope you have a Wonderful Christmas with your family. Gosh Kim! It must be incredibly hard to choose your features because there is so much talent out there! I saw the man wreath on FB and thought it was so cute! Of course, guys don't like their things described as "cute!" I hope you and your family have a wonderful Chrismas! Darn. I am way late. I got caught up cleaning the kitchen. So much more fun right? Thanks for hosting. I've got a dozen tabs open. Lots of blogs to go visit. So many pretty links!! Thanks for hosting, Kim! Have a Merry Christmas! Kim, thank you for having me at your party. Today I am sharing some thoughts about the Christmas magic that we all hold in our hands and our hearts. This party amazes me every week...thanks for hosting, Kim! Hi Kim, I really like how you're showing posts that might have been overlooked. It's a nice thing to do, and it also gives us readers another chance at discovering a new blogger talent. I'm happy to be linking up here again. Great features, and that "man's wreath"-ha! Thanks for hosting, Kim! I just love the bike in the snow! Thank you for hosting. I'm hoping one person will stop and visit me. Merry Christmas, Kim. Such lovely features that didn't get visited much last week. I wish I had time to visit everyone of these wonderful shares, but will do my best to visit as many as I can. Yikes - I'm late to the party! Thank you for hosting, Kim. I know how much work it takes on your part. A very Merry Christmas to you and your loved ones! Hi Kim, I made it. I feel asleep on the couch at 8:00 last night and just woke up. What great features. I am loving Ruby jeans man wreath, that is so cute. Hi Kimmie! I don't have anything to wow any one by today but I always love to come and check out what others are doing. 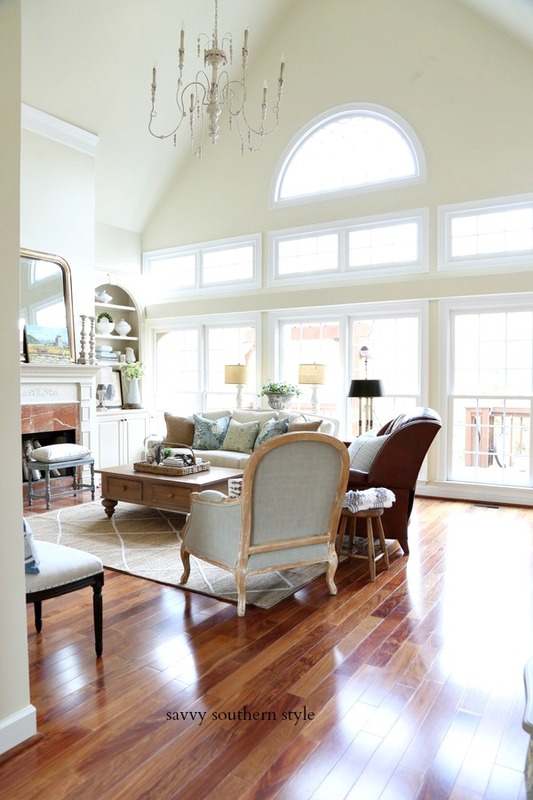 Your home is looking so beautiful for Christmas. Kim thank you so very much for alerting me about the "no reply". I have corrected this no less than 3 times. For some reason it keeps reverting back. I love that man wreath! How cute would a couple of those look decorating a little boys room who has a car or truck theme. I love that bicycle in the snow~ it looks darling. And the "man wreath"? What a great idea! Some friends of ours own a garage, I am definitely going to show them that! Very pretty features..loving the bicicle image in the snow! Thank you for hosting lovely lady, yet another great party! Wishing you and yours a wonderful and happy Christmas. Thanks for the fabulous features, Kim! I am SO decorating my old bike like that next year! And the tire wreath is just a hoot! I hope you have a wonderful holiday season, thank for hosting! most of the wonderful links.. Thank you Kim for hosting another beautiful party! So many lovely posts to explore. Great features as always. Thanks for hosting! I can't believe Christmas is less than a week away! So much Inspiration!! Thanks for hosting Kim! What a party and great features! Thanks for hosting,Kim! Hi Kim: Thank you for hosting the party--lovely holiday features! I wish you and your family a fabulous holiday! Thank you for hosting this beautiful party. Hope that you enjoy your Christmas. So many great posts. Blogging is so much fun! Wish I didn't have anything else to do. Thanks for being a great hostess! Merry Christmas! Thanks so much for featuring us. We really appreciate the shout-out!